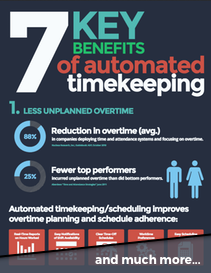 Just give us a few details below and we’ll send you our 7 Benefits of Automated Timekeeping Infographic. To thank you, we’d like to share our Benefits of Automated Timekeeping guide; it’s a quick read that describes how you can save time and money by upgrading to an automated system. Simply request a demo with the form above and we’ll provide you the link. If you have any questions along the way don’t hesitate to contact us.